I couldn't believe my eyes when I stumbled on eFoxcity to find out that they have an excellent selection for clothing and accessories for booth men and women. Their items are too die for and you can easily spend many hours on their website drooling over the gorgeous and latest style of party and wedding dresses or for special occasion. eFoxcity is really a great place to shop and I highly recommend it. I fell in love the moment I saw this dress. It's a great opportunity to get a designer dress at rock-bottom prices in eFoxcity. 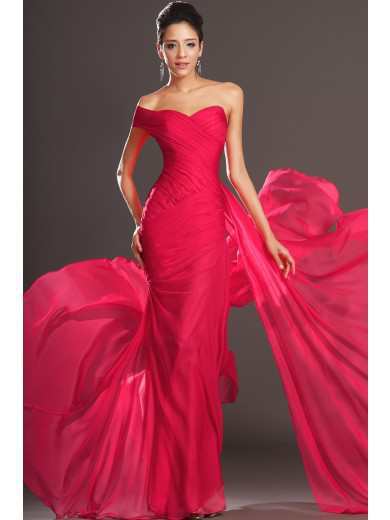 Looking for a homecoming and prom dress to make you stand out and feel special. eFoxcity homecoming dresses will make your dreams come true. Click HERE to visit their shop, you won’t regret it with all the money you will save! All three pictures are just fabulous.